Born and raised in the sugar towns of the Big Island’s Hilo Coast, aio founder and chairman Duane Kurisu was instilled early on with the traditional values of Hawaii’s plantation culture. A product of Hilo High School and the University of Hawaii-Manoa, Duane launched his first company in his late 20s to develop and manage commercial real estate properties in the Islands and on the mainland. 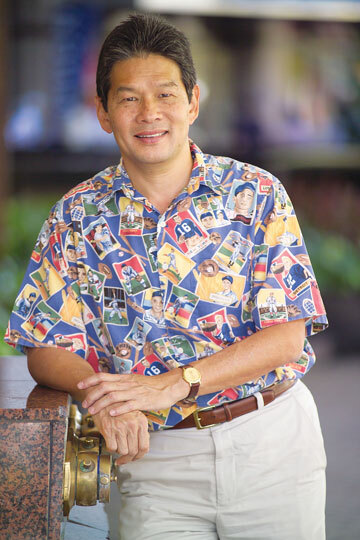 He soon branched out into a variety of business interests, and the acquisition of his first magazine property in the 1990s led to the creation of the aio family of companies. Today, Duane’s plantation roots still shape his vision for aio. Those time-honored small-town values of family and community are equally important in the world of commerce and industry—the local values of trust, respect, humility and honesty that drive the companies and inspire the people of aio.